Craft your own furry friends with Creative Kits: Pom-Pom Pets! Create adorable animal friends with this fun kit! With eight beads, four mini pom-poms, two squares of foam, three squares of felt, and three pipe cleaners, kids can make everything from a penguin to a panda with all of the classic pet favorites thrown in: puppy, kitten, bunny, and more! 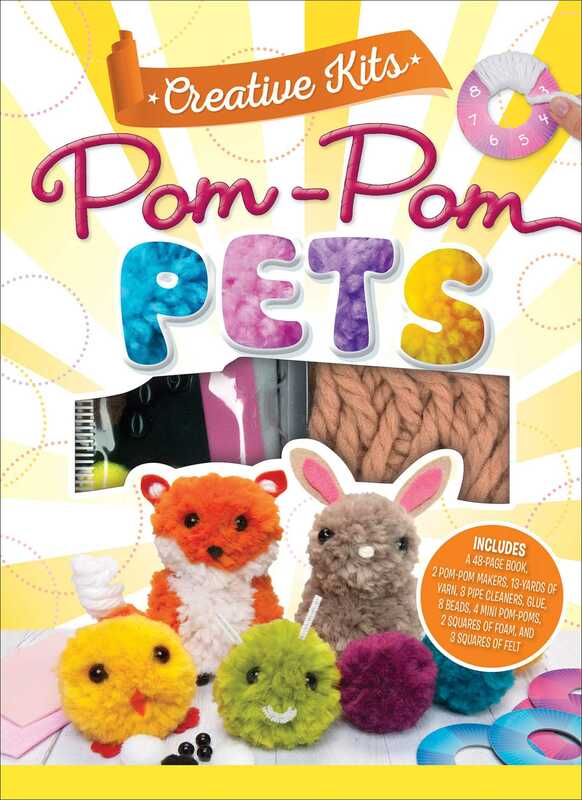 The book provides techniques and easy to follow step-by-step instructions for making a variety of pets, so dive right in and get ready for the most precious pom-pom crafts!